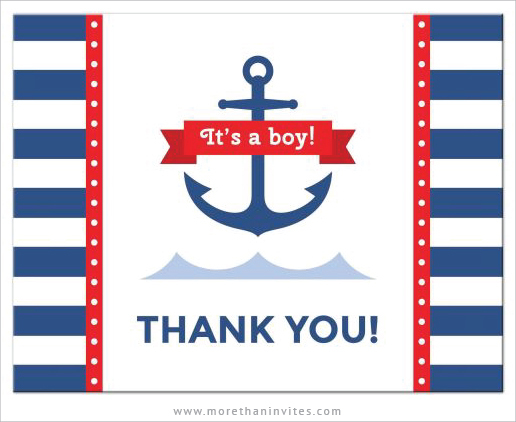 Nautical baby shower thank you cards featuring a blue anchor with a red banner across and the text “It’s a boy!”. To the sides are red, white and blue borders with horizontal stripes. A modern flat thank you card design ideal for a nautical themed baby shower. Available from Lemon leaf prints.